As talks of a final deal between Kosovo and Serbia grow more frequent, Bekim Blakaj of the Kosovo Humanitarian Law Center implores both sides to consider meaningful reconciliation. 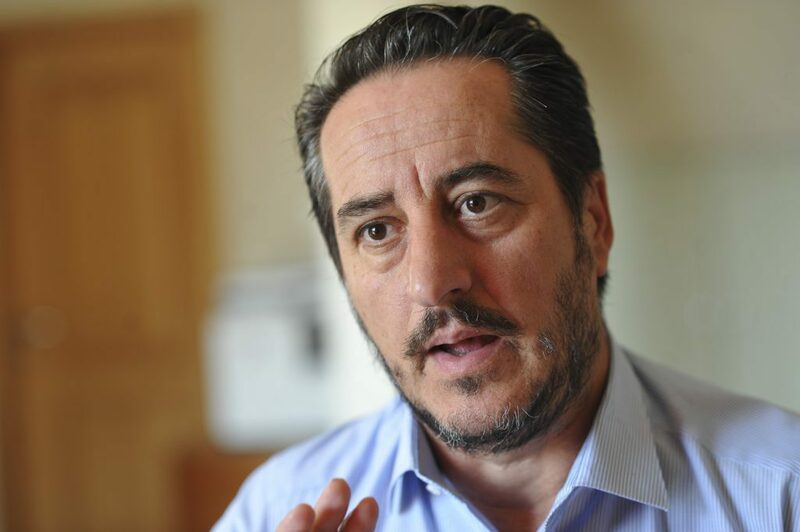 In an interview for Prishtina Insight, Bekim Blakaj, executive director of the Humanitarian Law Center in Kosovo, HLCK, insists that long term peace between Kosovo Albanians and Serbs can only be reached when societies face the past, and not by any agreement that excludes the victims. While the political dialogue between Kosovo and Serbia since 2011 has pushed the sides to seal a number of deals, from free movement of people to infrastructure development, issues pertaining to the past such as victims and missing persons have never been on the agenda of the EU-mediated dialogue. HLCK, headed by Blakaj since 2006, keeps a comprehensive database of every person that was killed or disappeared during the war in Kosovo and who remains missing. The database does not only include the names of the victims but also details of the circumstances of each victim. HLCK has verified that, during the Kosovo war, more than 13,500 individuals were killed, and among them more than 1,640 are still missing. For Blakaj ― who himself bears scars from the war, having been detained by the Milosevic regime from May 1999 to October 2000 when he was acquitted– the latest discourse of current Serb President Aleksandar Vucic, when in his last visit to Kosovo he called Milosevic a “great Serbian leader,” reminds him of the dark days of the past. “I think that we should look for accountability from Vucic, of how he can come and hail Milosevic in Kosovo, which is like scratching a wound that hasn’t yet healed,” Blakaj said. Nevertheless, Blakaj believes that politics have played a key role in seeing war crimes as one-sided, a belief which is reflected among Kosovo Albanians. Kosovo President Hashim Thaci last year initiated the creation of the Commission for Truth and Reconciliation, CTR, to address Kosovo’s wartime past. Blakaj supported and still supports the idea in principle, but says that he needs to see “tangible steps” from such an initiative. One of the main goals of the Commission of Truth and Reconciliation is to build a unified historical narrative, Blakaj explained. However for Blakaj, to form a commission for the truth and reconciliation to deal with the past and simultaneously to sign an agreement that would not mention the past at all is at best case contradictory, or senseless at worst. Additionally, beyond such initiatives, Blakaj remains skeptical seeing not only the current political discourse but also how youngsters are being educated about the past. Blakaj is also self-critical when he talks of the contribution of NGOs dealing with transitional justice and their lack of unification for the cause. “Human rights organisations and those that deal with transitional justice have not unified to make a more powerful advocate,” he said. Blakaj said that the institutions have neglected the demands of these organizations, although in some cases have shown some readiness to listen to them. “Although we have had verbal pledges to include the issue of the missing people in the dialogue, this never happened in reality and our voice, although it reached governmental institutions, has never been very powerful,” Blakaj said. Although supportive of any agreement that seeks to bring peace, Blakaj remains sure that any agreement leaving the issue of the past unresolved is only providing a provisional peace.